Do you remember learning to drive a car? You were conscious of so many things that you needed to retain and actions to make it happen. Learning to spin is no different. Chris takes you through the basics of the wheel, the fibre and the tools and looks at the safety aspect so that you come away with a deep understanding at a beginning level. 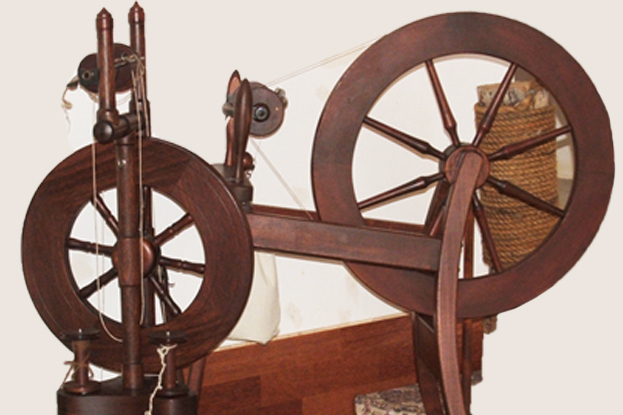 Even those that might have started spinning will also benefit from the review of this class. Introduction to the tools of trade and their use. From this you will come away with beginning skills nessisary so you can go and practice! This is where you really start to learn. You have the basic fundamental foundation skills, and from here Chris takes you on a journey through the world of yarn. 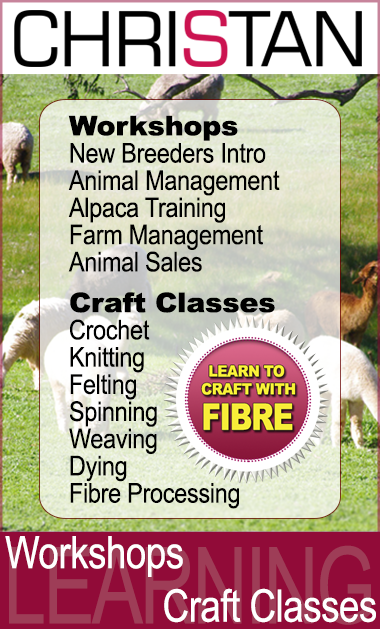 Chris runs classes to expand your skills, introducing you to greater control of your yarn, how to recognise and correct any inconsistency in your spinning. Understanding twist to ply in how many ways. Chris takes you on this journey to produce varying beautiful results of yarn and how the results compare make up into articles or garments enjoying the skills that are growing. These are usually a day class on many varied topics and skills.